I got the "Best Speaker Award" for content and topic. I knew I was nominated and somewhere in the top 5, but I didn't dream of winning it! Of course I would like to thank the whole APEX community, ODTUG and all the people at the conference. The twitter stream at the ODTUG conference is going well. I'm now following two APEX presentations at the same time as people in both rooms twitter ;-) I really wish I could see Scott Spadafore do his security presentation. "He's the man", as Carl would have said. Although I'm not phisycally at ODTUG, I'm following it closely with the blogs, the twitter feeds and my friends who keep me up-to-date. As said earlier, ODTUG will host the biggest number of APEX sessions at a conference so far. But it looks like the numbers of attendees in the APEX sessions will also break a record (over 200 people). On Sunday there was the APEX Symposium. Clients talked about their experience with APEX and showed some Case Studies. Last week in the Netherlands I saw Olivier Dupont's session about APEX at Brussels Airport. That was a good example how APEX can be used on "terminals" (pc's without mouse and where no software can be installed). Martin Giffy D'Souza also talked about some applications they created and use at Cognera. We worked close with Cognera on an application they are providing to their clients (SaaS model). They did some nice things with APEX. There were also two surprises, as David Peake announced on his blog. People in the room got the first ever Oracle Application Express t-shirts! John got also one for me, so I look forward to see them. Maybe the people at the APEX Meetup (Monday night) can all wear that t-shirt? And then take a picture... that would be awesome! 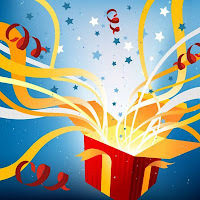 The other surprise was the announcement of Oracle Application Express Developer Competition 2009. You find more information on David Peake's blog and on OTN. 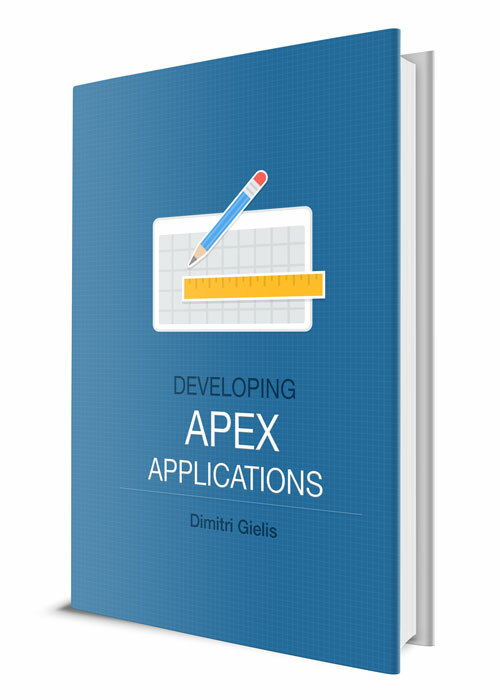 It will be nice to see what APEX applications people come up with... and you don't have to do it for free! 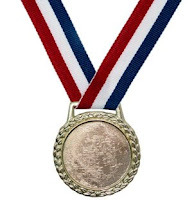 You can win a trip to Oracle Open World. If you don't know what it is or never have been there, that is definitely something you want to see as it's the biggest Oracle conference of the world. Good luck with the competition! I'm really a "Firefox with Firebug" fan if we are talking about Web development. But as you probably know, the biggest challenge in web development is being browser compliant. Typically I develop my APEX applications in Firefox, test it there and run another test in Safari (I'm developing on Mac). Having two browsers open is also handy to test session state and what is happening when multiple users are in the application. I always dreamed of having Firebug also on Safari as sometimes something was working in Firefox but not in Safari. There is a Firebug lite, but I never liked it that much. 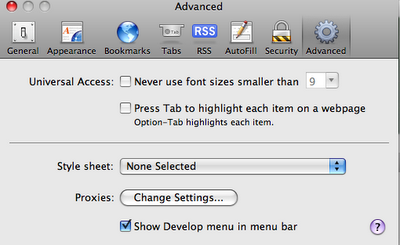 A few days ago I upgraded to Safari 4 and enabled the Develop toolbar (Preferences - Advanced). You get a new Develop menu with a lot of options, just like in Firebug. 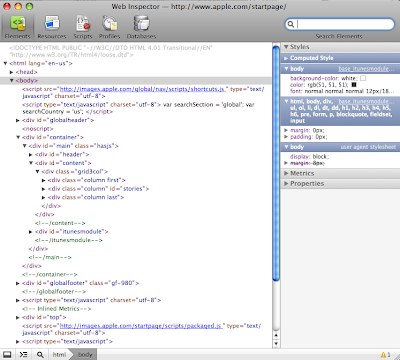 I like it very much and the Web Inspector is also very impressive. I would definitely recommend to have a look at it, if you have a Mac and are doing web development. In Safari 3 you could enable Web Inspector as well, but you had to run the following command in a Terminal window: "defaults write com.apple.Safari WebKitDeveloperExtras -bool true"
If I test my applications in IE, I use the Web Developer toolbar. I just added another video to the Anychart integration kit for APEX website which shows you in three and a half minutes how to get nicer charts in APEX without having to change a single line of code in your application. In the previous video we extended the charts in APEX with the new charts so they can both be used, but this time we want that all existing and future charts are using the new charts from the integration kit. If you have a lot of charts already created in your APEX application they will get replaced by the new charts without having to change anything. All your charts will look new. Another advantage is that in the wizards of APEX the new version will be shown directly. To do this, we take the files of the integration kit (Anychart 5.1) and will overwrite the existing Anychart 3.3 files in APEX. You can see exactly how it works in the below video. If you prefer to download the video and play in your favorite media player (e.g. QuickTime) you can do that here. As the tradition wants, AMIS is organizing another ODTUG Sneak Preview on June 15. Two weeks before the real ODTUG conference the Dutch and Belgian speakers try-out their presentation. It's not only nice for the speakers to get feedback, but also for the people who can't go to ODTUG they can see some presentations. Although I had to cancel my trip to the States, I'll still do one of my planned ODTUG presentation at AMIS. The event is free, but you have to register here (site in Dutch). At ODTUG there is also another APEX Meetup. It's always great fun to meet others and have some beers together. This time John is organizing it. You find all details here. Enjoy! ODTUG is also encouraging people to Twitter and Blog, which I think is great, so people who can't join can get a feeling of the conference.